Sen. Kurt Schaefer to speak on "Erosion of States Rights" and other matters facing the State of Missouri when he keynotes at the Lafayette County Lincoln Dinner April 24th in Wellington. 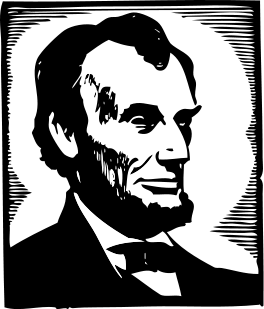 The annual Lafayette County Republican Lincoln Dinner is scheduled for Friday, April 24th with Missouri Senator Kurt Schaefer (District 19) as keynote speaker. He will speak on "Erosion of States Rights" as well as other matters facing the State of Missouri. Senator Schaefer is chair of the Missouri Senate Appropriations Committee and a candidate for Missouri Attorney General in 2016. As in recent years, the event will be held at the Community Christian Center, 710 W. Highway 224, Wellington. Appetizers and ‘Meet the Candidates’ will begin at 6:30 p.m. with dinner served at 7 p.m. by Nadler’s Catering of Wellington. A silent auction will be held. The Federated Republican Women’s Club of Lafayette County will hold a food drive for county food pantries at the event. If interested, please bring canned food or paper products for local food pantries. Additionally, Senator David Pearce of the 21st Missouri Senatorial District, will serve as master of ceremonies. Rep. Glen Kolkmeyer of our own 53rd Missouri Legislative District and Rep. Denny Hoskins, Missouri House Speaker Pro Tem, will be featured on the program as well. Tickets are $30.00 per person. Make checks payable to Lafayette County Republicans and mail to: Heidi Kolkmeyer, treasurer, PO Box 56, Wellington, MO 64097. Platinum: $500.00 - Reservation for an entire table and includes 8 dinner tickets. Gold: $250.00 - Includes 4 dinner tickets. Host: $100.00 - Includes 2 dinner tickets.